Lauren Lusardi is a native Californian techno musician. Playing under the name Plasmic, Lusardi is unique not just for her quirky music and style but a textbook example of how hard work does pay off. For her, that payoff is a record label from the independent run Devour Records. 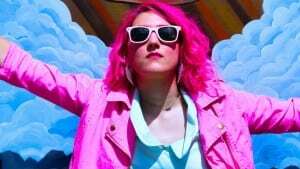 Lusardi has accomplished much with their help with her most recent success having filmed her first professionally made music video directed by local photographer Jenna Mason-Brase. Part of that filming took Lusardi away from her Mission Viejo home to Corona Del Mar just outside of the B Candy Store. Its huge, outdoor décor featuring sculptures of various sweets and candies caught the eye of Lusardi immediately. The song itself is in large part based on Lusardi’s upbringing: something that wasn’t so sweet. Born in Beverly Hills, she isn’t ashamed to admit that her childhood was a struggle. Lusardi found solace in music: something she discovered she had an immense talent for creating. Lusardi began investing in music at the age of 16. 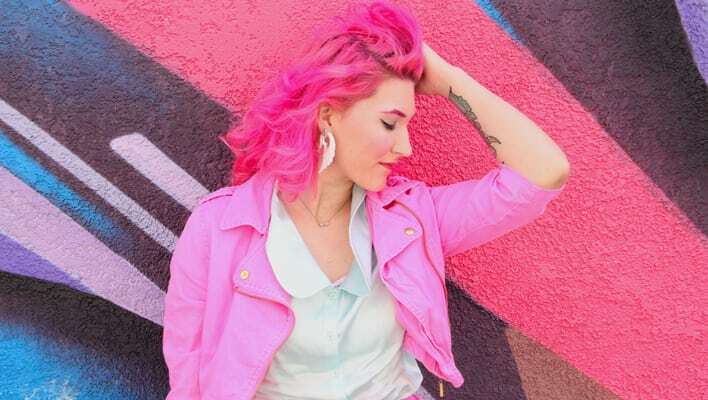 Until being signed by Devour Records, she shared her music both online and playing at local venues while also attending an audio engineering course at Saddleback College. She notes how various rock and new wave bands of the 80s influenced her. One group she cites specifically is Devo along with its founder, Mark Mothersbaugh. Like Devo, Lusardi isn’t afraid to experiment and try new things. This has resulted in her music being something of a shapeshifting amalgamation. This helps lend to both the nostalgic and progressive tones in songs like “Revenge” and “Tears Are Routine.” Mixed with lyrics usually inspired by her life experiences, the effect they produce puts them in what Lusardi considers to be a unique genre. Her performances however, have been sporadic and usually confined to small venues, recently playing her music at the All-Star Lanes Bowling Center in Los Angeles. Still, despite their rarity, she is amazed to see the effect her music has on others. These performances often see Lusardi wearing vivid pink outfits that compliment her playful stage behavior such as tossing balloons out into the audience.